Soy beverage pitches in some calcium and protein, crucial elements for your muscles and contraction thereof. Grease your muffin pan with oil. Blend all dry ingredients together in a food processor until a flour-like consistency is obtained. Transfer dry mix into a medium-sized mixing bowl. Add all wet ingredients (excluding berries) to food processor and blend until smooth. Add to dry ingredients. 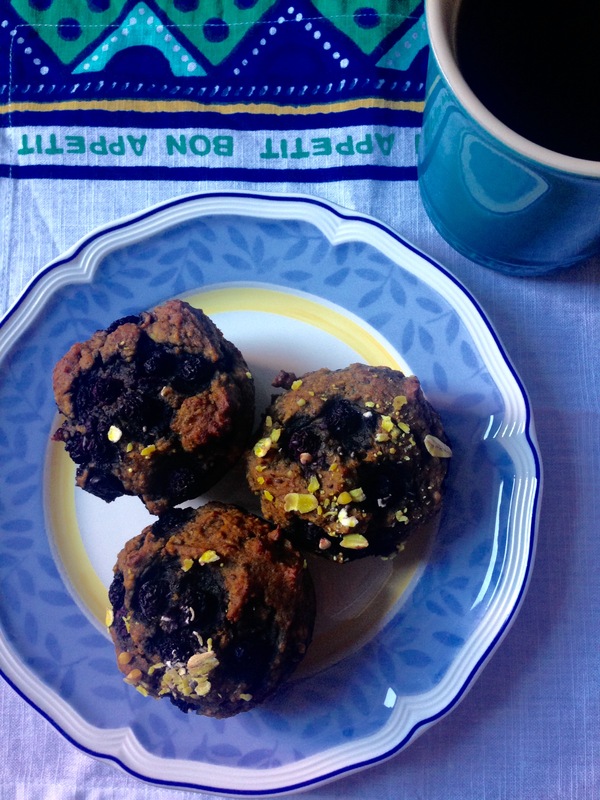 Divvy up the batter into the muffin tray. 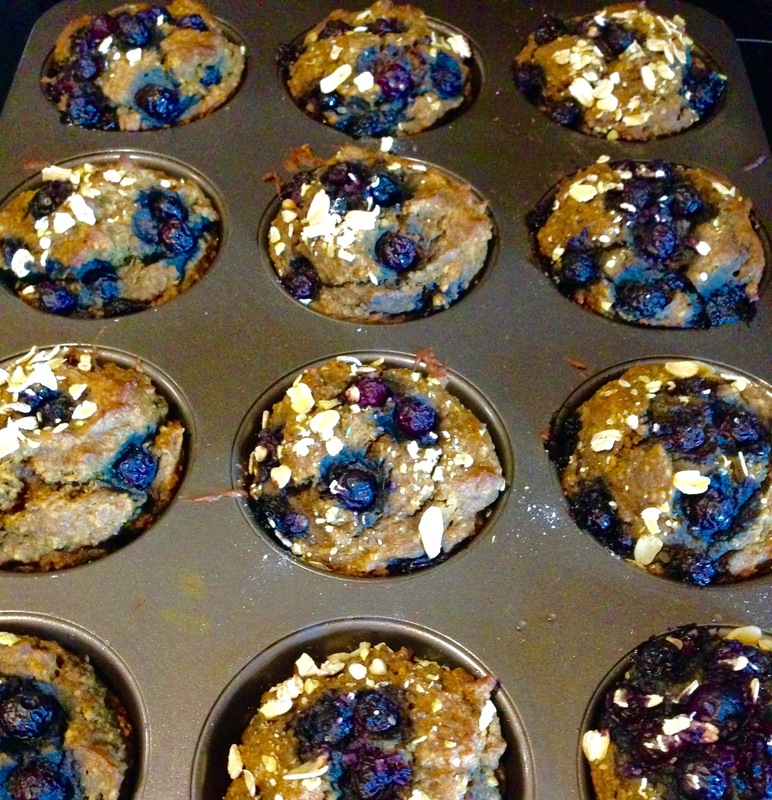 Top each muffin with a couple berries and garnish with a sprinkle of oats. Eat as they are or slather on some nut butter for some extra flavour and protein.